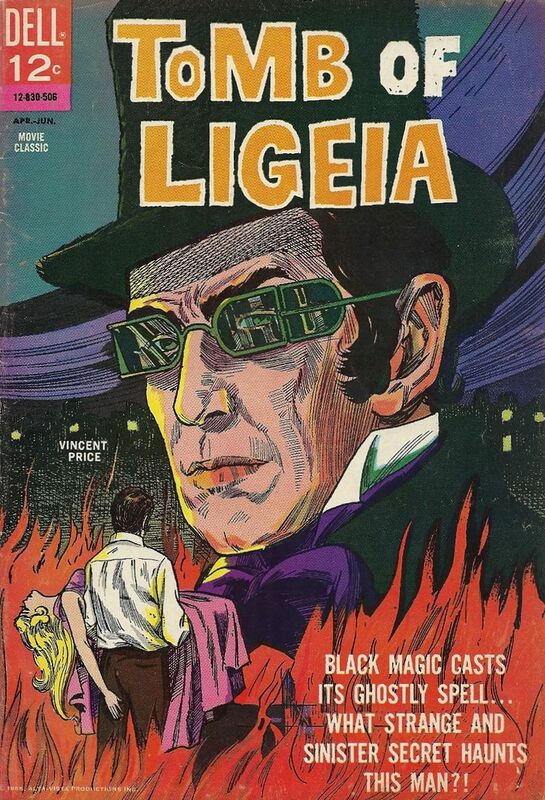 For the regular readers here at Mike’s Take, you know I love the works of my “friend” Vincent Price. Not just the films but the many other endeavors he took to. Not just his TV guest appearances as both himself or as a featured actor in everything from The Brady Bunch to Columbo but even his advertising campaigns for products in 30 second ads. The Hangman board game always comes to mind. 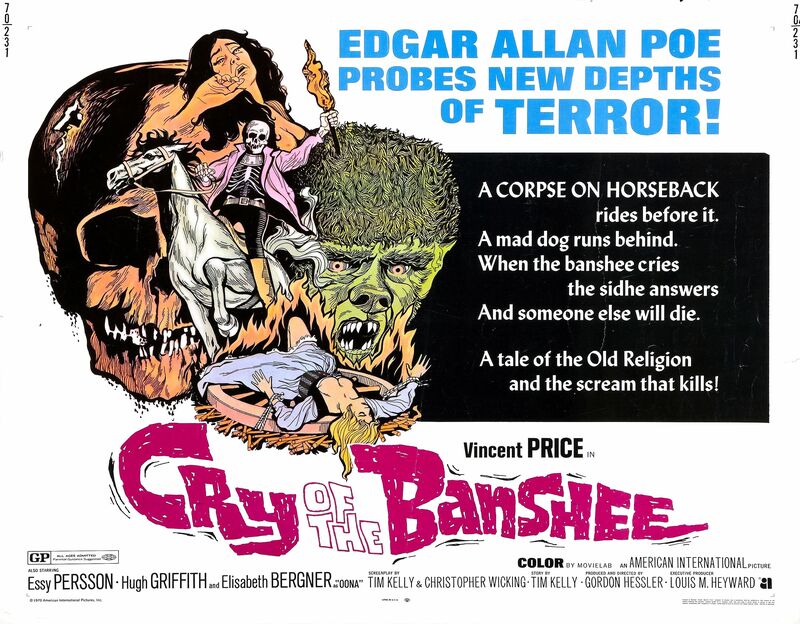 His work for Roger Corman in the Poe cycle of films may very well be the titles he’s most remembered for as far as film fans are concerned. 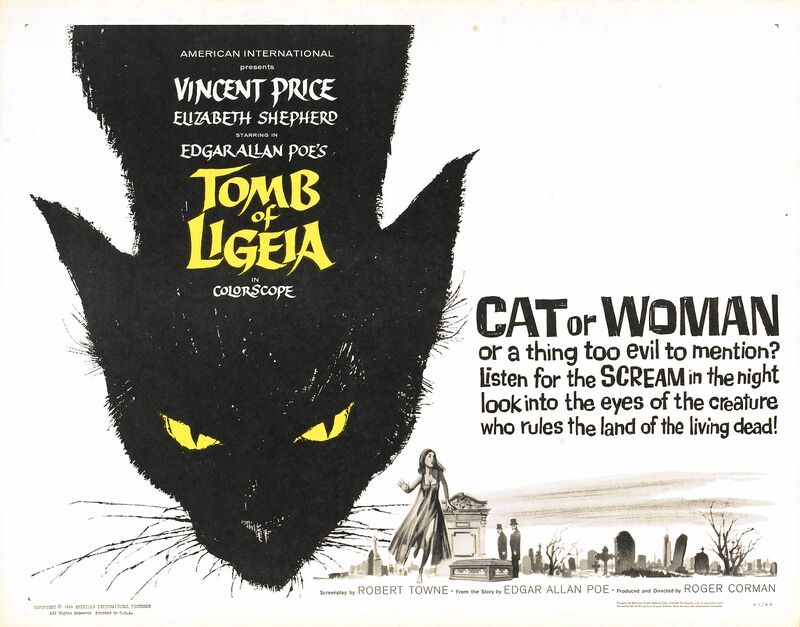 While you may love Preminger’s Laura or DeMille’s Ten Commandments, it’s that low budget director for AIP that gave us the film’s that Vincent is most associated with along with his earlier ventures into the cinema of scares like The House of Wax and The Tingler and the later ones like Dr. Phibes and Theater of Blood. Movies like these can also prove to be a driving force to youngsters as well to pick up a book and read. 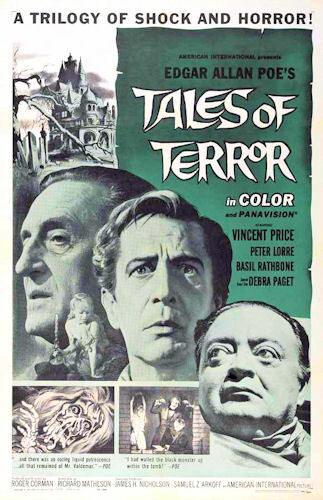 Seeing the Poe name above the titles spurred this youngster to nag his parents to get him a book of Poe tales. 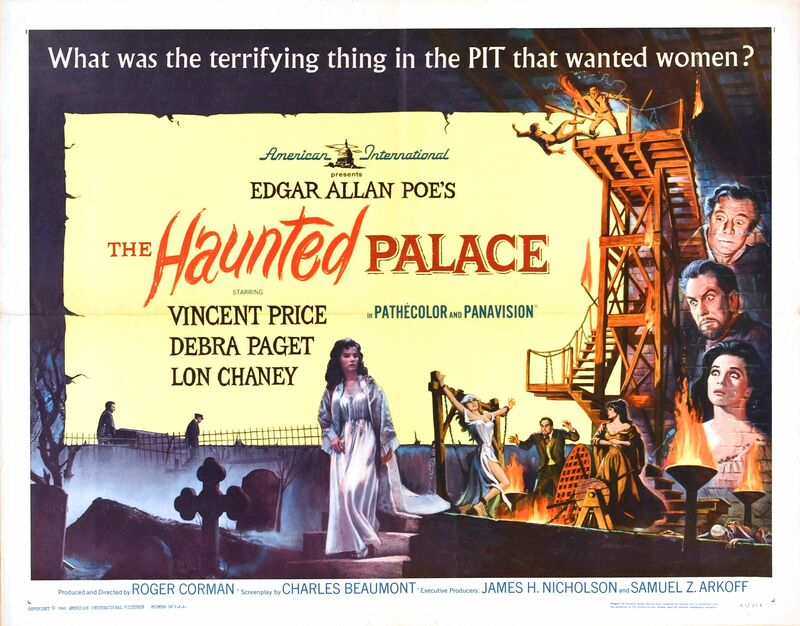 I’d like to think that’s a good thing even if the film’s had very little in common with the stories of Poe. 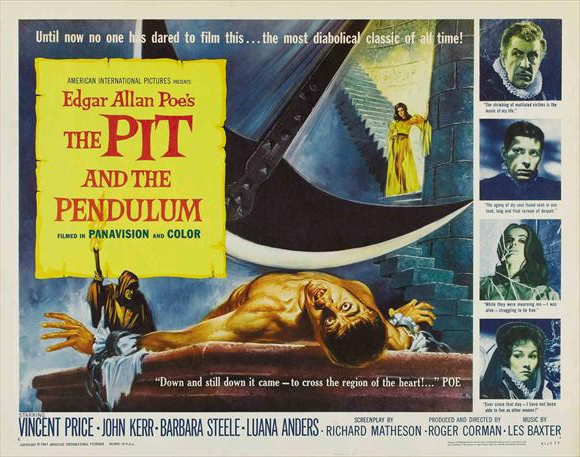 It’s fitting that his first Poe/Corman film is the one I believe was my introduction to the series of titles at an early age. Scared the hell out of me. All I could recall for years in between nightmares was the bloodstained corridors that Price was walking through by candlelight in search of his sister and his finding her in the terrifying finale. 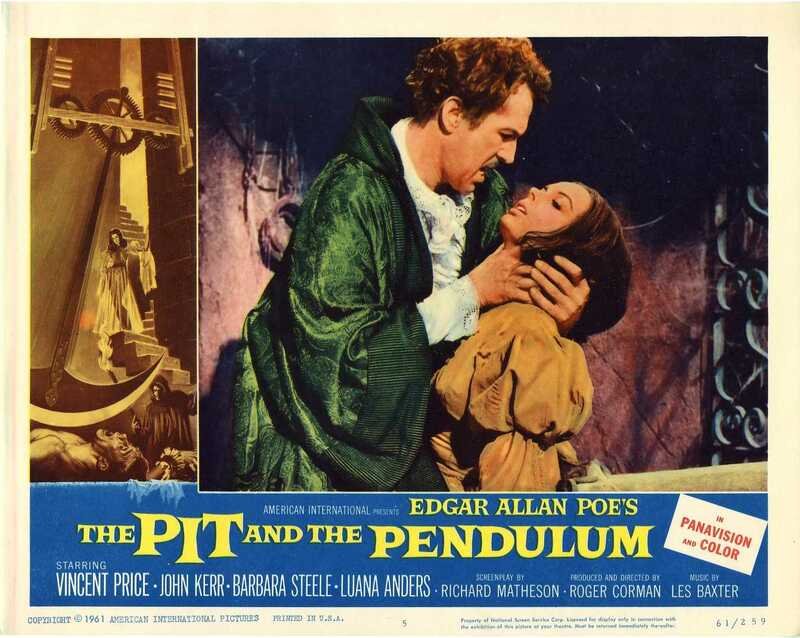 Now it’s time to imagine the voice inflections of Vincent Price poetry and read on. It’s while in the Pit that Price meets Steele. 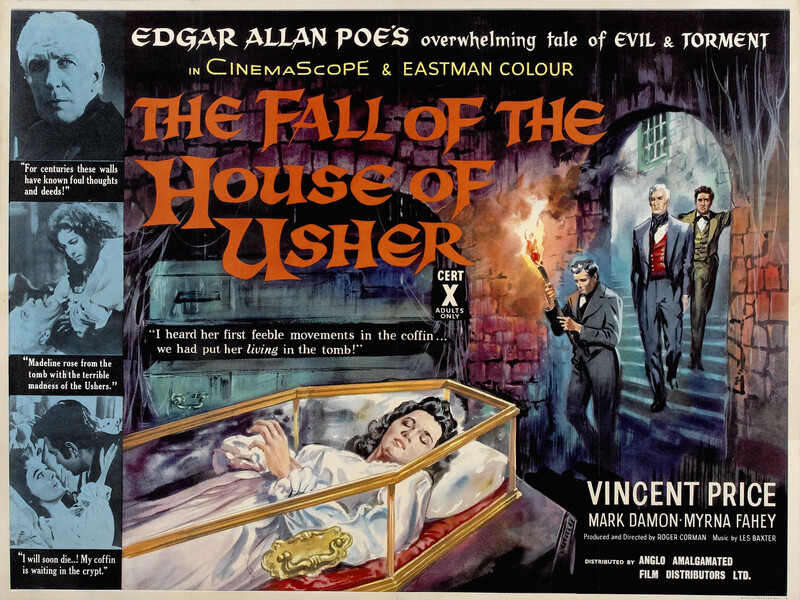 Along the way Vincent narrated Spirits of the Dead for the art house circuit and there was a TV special titled An Evening With Edgar Allan Poe that was broadcast in 1970 that saw him recite some of Poe’s tales with accompanying scenes filmed for the medium. If you’ve noticed, I left one title out. I do this in order to reach into the vault here at home and offer up an original one sheet from my personal collection. 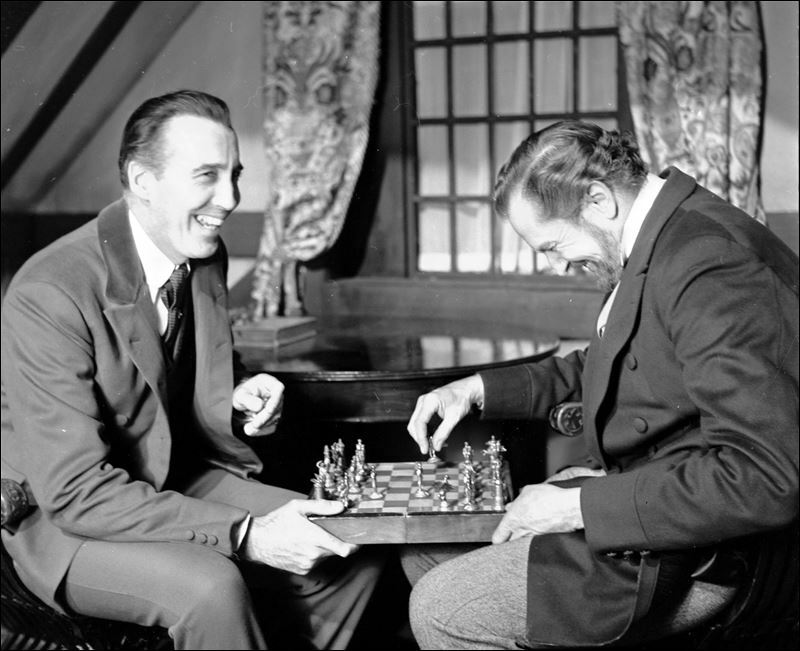 It’s the 1969 Poe inspired tale that saw fellow horror icon, Christopher Lee join in the fun with Price on the set of The Oblong Box. 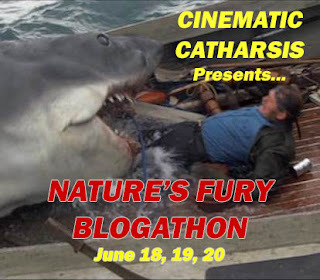 Now go out and watch yourself one of these wonderful terrors featuring a man who always looked to be enjoying himself during each and every minute of each and every frame. Superb quotes there, especially if you think of VP speaking them, and great posters too. He sure had the coolest of voices and always seemed to be having more fun then we did watching him. Price delivered a grand comic performance as the head of a soap company, in the delicious comedy: ‘Champagne For Caesar’ (1950). Other members of the cast are: Ronald Colman, Barbara Britton and Celeste Holm. Yes indeed. 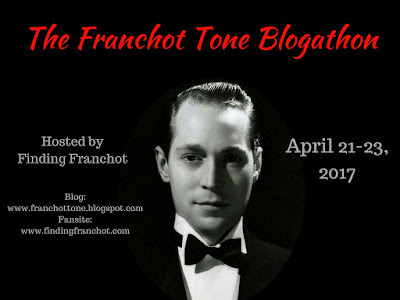 The other non horror film I often suggest to everyone is his marvelous turn as an Errol Flynn styled film star in the Noir gem, His Kind of Woman where he steals the picture from Mitchum and Russell. I have enjoyed that one too. 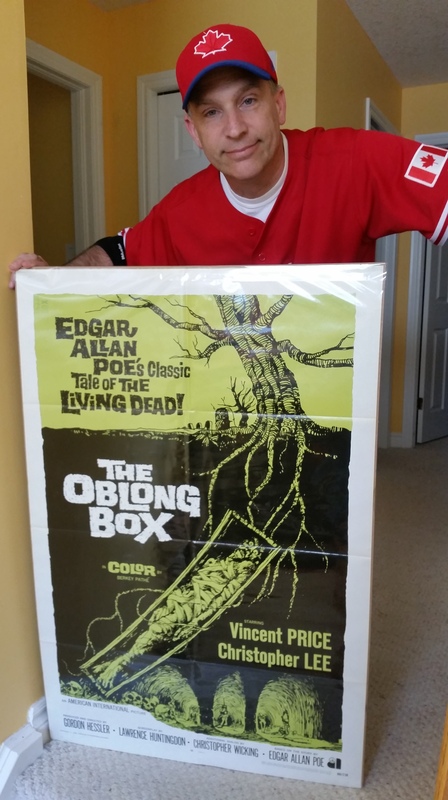 The poster artwork for The Oblong Box is amazing. 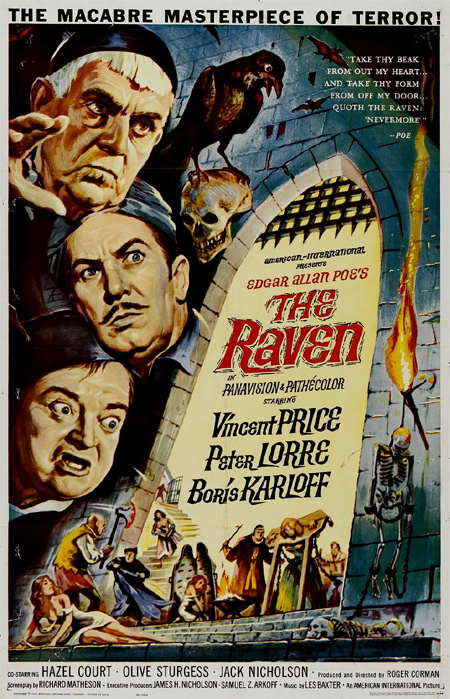 Hard to narrow a favorite but for pure enjoyment I’d probably go with the comical The Raven. For horror I’d turn to Usher. Thanks Mike I will endeavor to watch both of those two soon. I’m liking the the thought of some comic Vincent in The Raven first I think. Much appreciated for the tips. 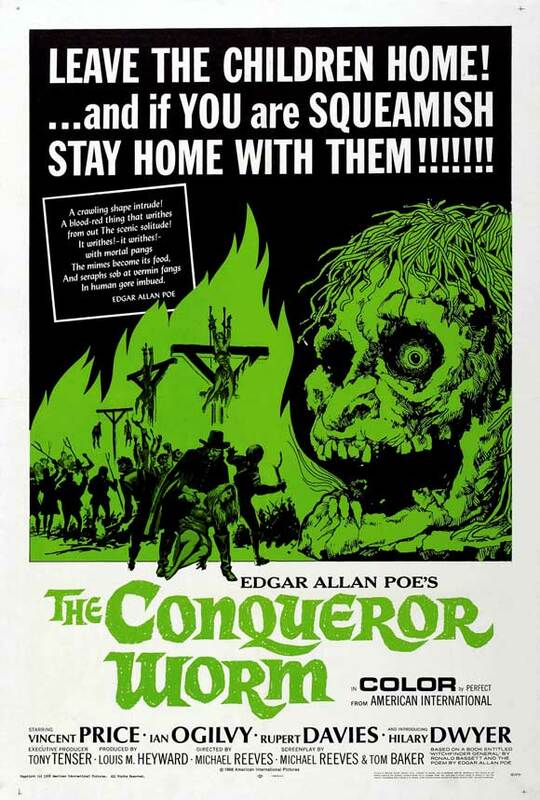 Still one of my favorite film series of all-time and the one responsible for getting me into classic horror. Great post, man. Thanks a bunch. I love how growing up you had to cross your fingers that these might turn up on a late show before we had movies on demand. You couldn’t afford to miss it. You just had to hope Mom and Dad understood and let you stay up late. Usually I caught most late night on weekends on AMC or got them from the video store. I had one shop with a clerk who brought in all the old school horror he could and he’d let me borrow bootlegs of stuff. He ended up dubbing me like a 20 film set of Price movies on four 8-hour tapes. 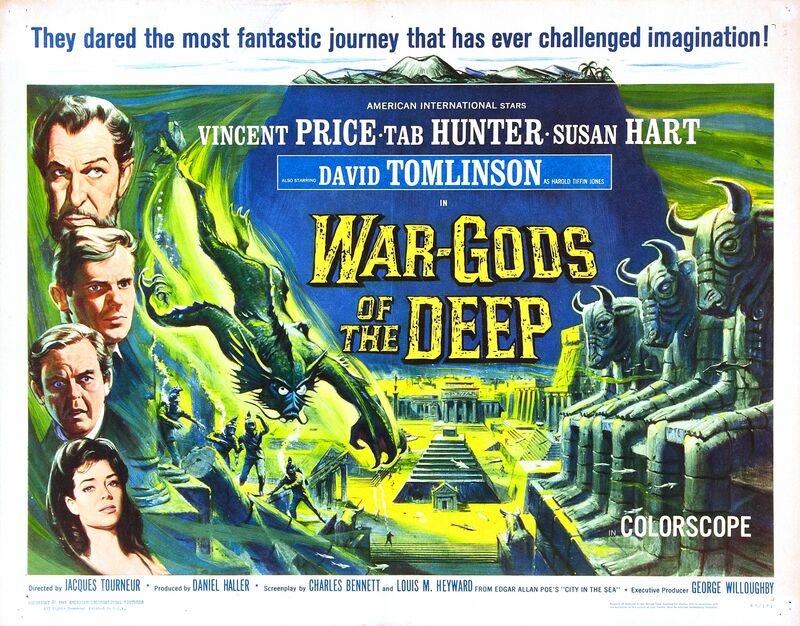 Lots of nice-looking posters they’re…some cool ’60s artwork. 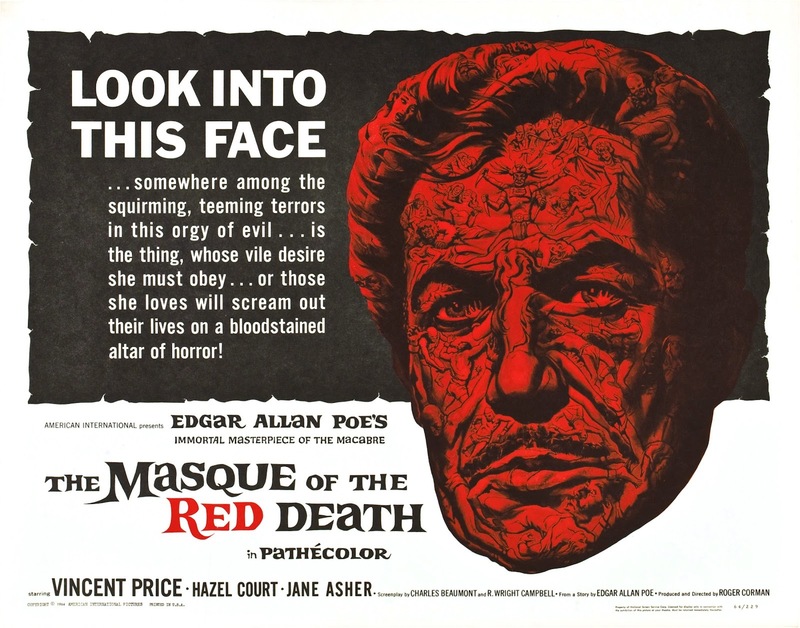 I own a few of Price’s Poe films in the MGM Midnite Movie collection, but I haven’t watched them yet. 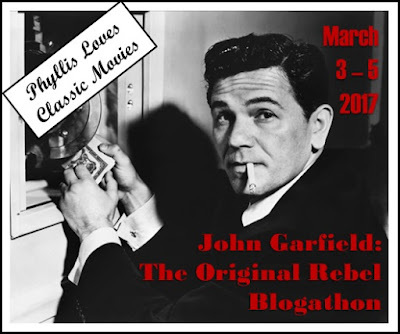 For me, Price means a few noir films and ‘The Tingler’…obviously I have a lot of his films to get caught up on! That you do. I have those MGM titles but upgraded to the Scream Factories 3 volumes of Price films. A great set of blu’s if you get the chance. Plenty of cool bonus stuff. 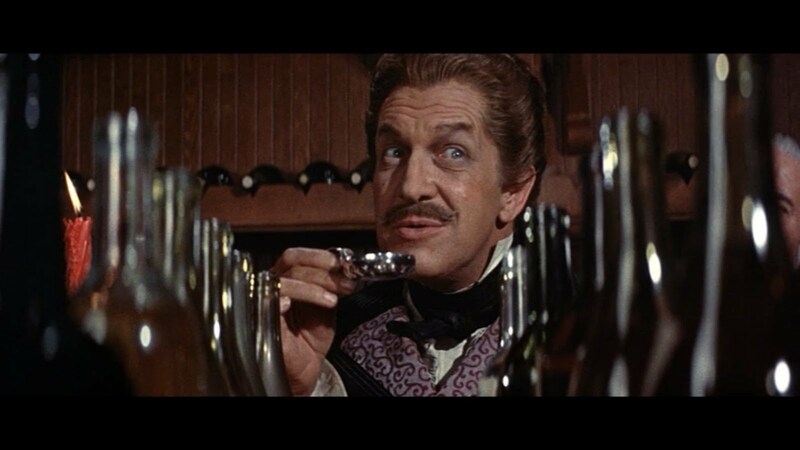 Vincent Price rocked! Amazing actor. I could listen to his voice for ever. 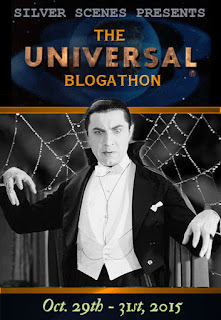 He perfectly fitted into the horror genre. 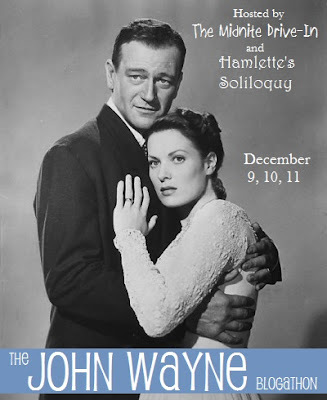 Love your poster. Yes, I feature Vincent here regularly. I think I’ve had that poster for a good 20 years now in my collection among the many others.